This Red Berry Boutonniere is a simply charming way to add to the overall look of your groomsmen. 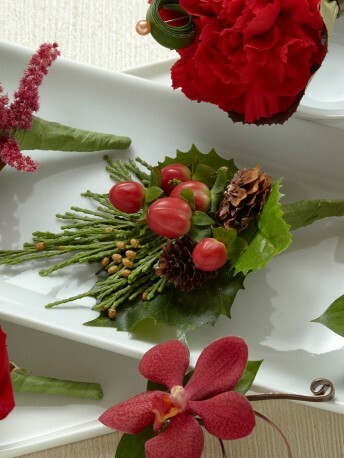 Red hypericum berries are brought together with holly leaves, clusters of cedar greens and mini pinecones to create the perfect look for a Christmas wedding. Approx. 5"H x 3"W.